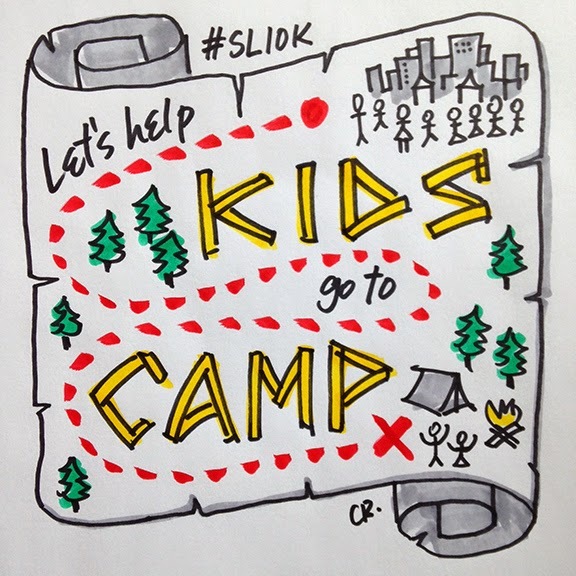 Chris Blog: Let's help kids go to camp! Let's help kids go to camp! One month from today (exactly!) I will be participating in the Sporting Life 10k Run. On Sunday, May 11, I'll be running down Yonge Street to help kids with cancer go to camp. Last year, through the generosity of family and friends (old and new), I raised an astounding $1260. I am still amazed, and immensely grateful. Let's see if we can do even better this year!